By Brian Voo in Gadgets. Updated on November 12, 2017 . So the rumors are true, there is an iPad Mini! Plus, Apple has released the 4th-gen iPad with plenty of new upgrades and powerful specs. Check out our rundown for what is bundled in Apple’s worst- and best-kept secret of the Oct 23 launch. With many other ‘mini’ tablets in the market, the iPad Mini would be the first iOS ‘mini’ tablet. 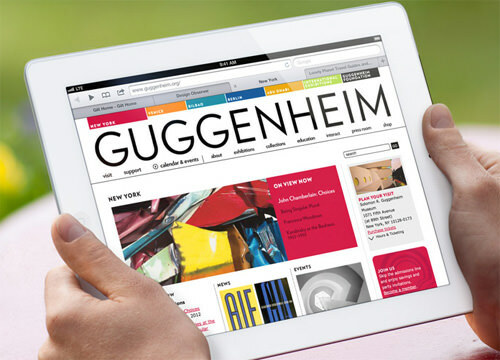 It’s powered by the Apple A5 dual-core processors, the same processors that powered the iPhone 4S and iPad 2. Essentially the mini version of an iPad, it boasts a resolution of 1024×768 on a 7.9-inch display, and weights in at 0.68 lbs. Other features include LTE network, FaceTime HD front side camera and 5MP iSight back camera, Lightning connector, and 10-hour battery life. The latest iPad version to grace the world now carries a powerful A6X chip to deliver twice the graphics performance (how else do you do retina? ), at twice the speed. This 4th generation iPad packs one million more pixels than an HDTV and only weighs 1.5 lbs but (still) lasts up to 10 hours of battery life. Shoot videos in 1080p and enjoy a 720p view on FaceTime. Nexus 7 is Google’s first tablet that comes with a powerful NVIDIA 1.5GHz Quad-Core processor and equipped with the latest Android 4.1 Jelly Bean. It has a simplistic design with a micro USB port and a front camera for chat; because it has no back camera, sim tray and expandable memory slot it weighs only 340 grams. You’re able to watch HD videos on its 1280×800 resolution display and for $200, it is reasonably priced for a powerful tablet. 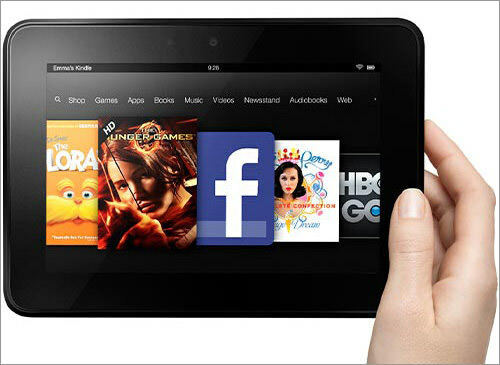 When you hear Kindle, you think eReaders – but this isn’t the case with the Kindle Fire HD which works more like a dual-core Android tablet. It comes with the Android 4.0 Ice Cream Sandwich and has a micro USB and a micro HDMI port. 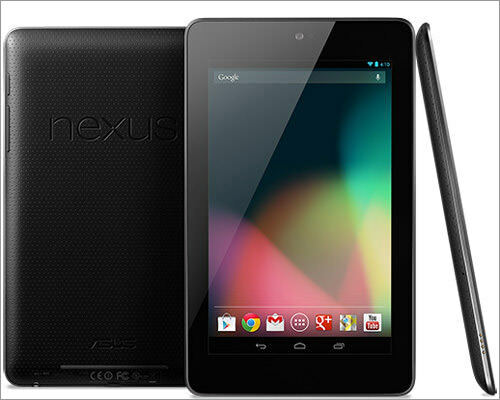 Similar to the Nexus 7, it only has a front camera, and does not have a sim tray or expandable memory slot. It gets its apps not from Google Play but the Amazon Appstore. 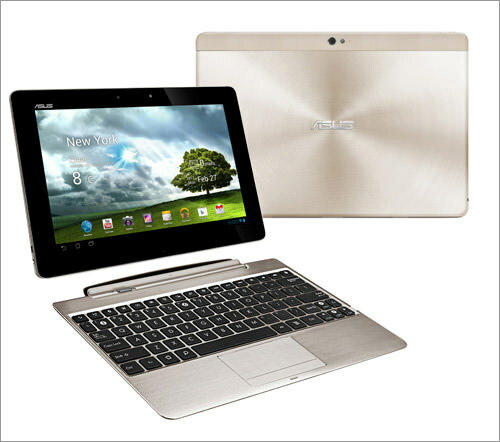 This tablet is a hybrid between a netbook and tablet as it comes with a 10.1 inch, 1920×1200 display and 1.5GHz dual-core for the 3G model or 1.6GHz quad-core on the WiFi only model. It comes with a keyboard/docking station that has a full sized USB port and SD card reader; there is a microSD slot on the tablet itself. It comes with an 8-megapixel back camera with LED flash and the Android 4.0 Ice Cream Sandwich. If you have heard of the Padfone, you know that it is a tablet powered by a smartphone – 2-in-1 design; the tablet only works when the phone is docked into the back. The phone has a quad-core processor with the Android 4.1 Jelly Bean and a 13-megapixel back camera. 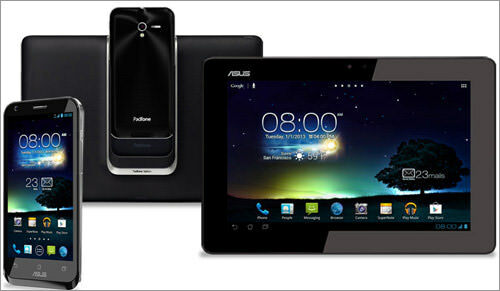 The tablet has a 10.1 inch display and can play HD videos with its 1280×800 resolution display. It also supports LTE and will be released at the end of 2012. The Microsoft Surface will be a powerful tablet to soon enter the market as the 32GB Surface RT can be pre-ordered for $499. The Surface Pro has more interesting specifications with 4GB RAM and a 3rd Generation Intel i5 with HD Graphics to support its 1920×1080 resolution 10.6 inch display. Both versions have a front and back 720p HD LifeCam and full sized USB port – USB3.0 on the Pro version. 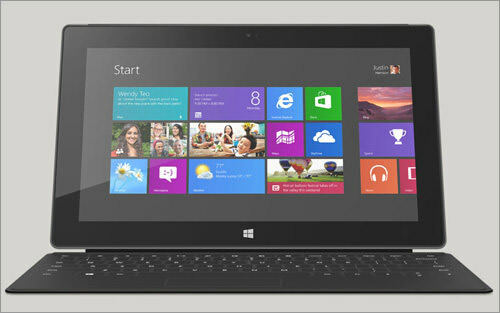 With its Windows 8 OS, microSDXC expansion slot and HDMI (RT) / Mini Display (Pro) outputs it’ll definitely be a fierce competitor.